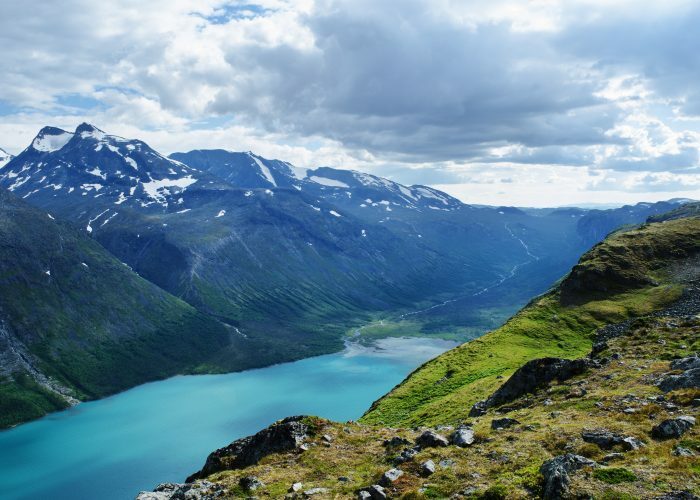 About 100 kilometers southwest of the Norway's oldest national park, you'll find Jotunheimen National Park, home to Norway's highest mountain, Galdhopiggen. It's got all the water features you'd want for an outdoor adventure: waterfalls, rivers, lakes, and glaciers. It's also known for its spectacular day hikes and hut-to-hut treks, including the famous Besseggen Ridge. People come here to ski, river raft, and glacier walk, too. While you're in the (relative) area, pay a visit to the largest glacier in continental Europe. 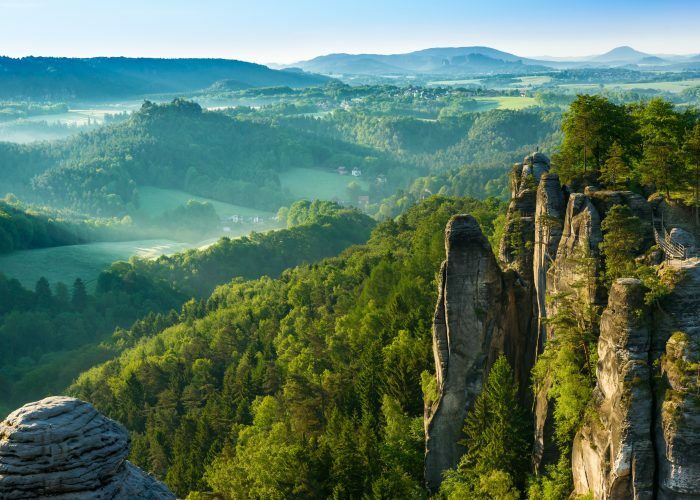 Don't let the name throw you off: Saxon Switzerland National Park borders the Czech Republic and is nowhere near Switzerland. The park continues into the Czech Republic where it is called Bohemian Switzerland National Park (there's even a border crossing for hikers, though with more than 150 square miles of trails, including some for cyclists, you may not need to leave the country). Rock climbers can choose from among 700-plus sandstone summits, carved by the Elbe River for millions of years. You don't have to dangle from a rope, however, to appreciate the flower-filled valleys, chalky cliffs, mesas, and surrounding castles and fortresses. In fact, one of the best ways to take in the rocky terrain is from the source that created it: the Elbe. Entrance to the park is free. 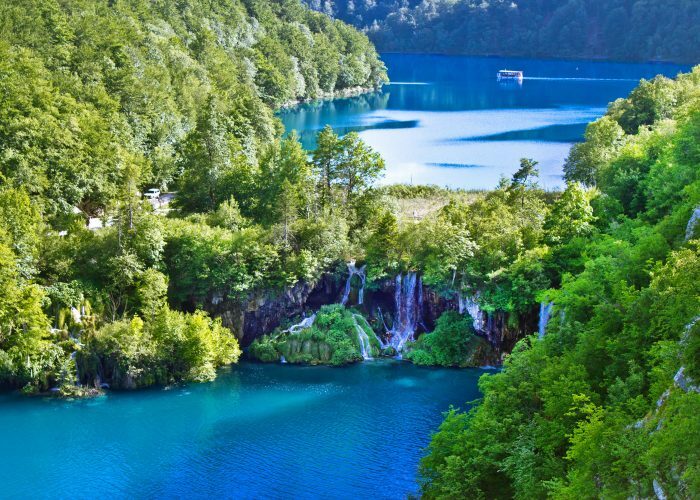 Lakes make up only one percent of Plitvice Lakes National Park's surface area (the northwest part of the park is a beech-fir forest), but they're one of its biggest draws. There are 12 in the Upper Lakes area and four in the Lower Lakes group. For those looking to climb the country's highest peak, Hvannadalshnjukur, Skaftafell is a good place to start. Another popular hiking route takes visitors along a canyon from Asbyrgi to Dettifoss, the most powerful waterfall in Europe. The park's lowland areas are the most easily accessible, with highland areas being only accessible by 4x4 vehicle for a few months at the height of summer and beginning of autumn. In the winter, ice caves formed by water or the geothermal activity are a popular draw. And though outside the park, Jokulsarlon Glacial Lagoon is also worth a stop if only to glimpse the icebergs floating on the lake's waters. Explore the coast on the cliff path, part of the Cleveland Way National Trail, but otherwise don't worry too much about sticking to trails; most of the park is open access, so you can wander at will through wooded valleys and past grazing sheep. 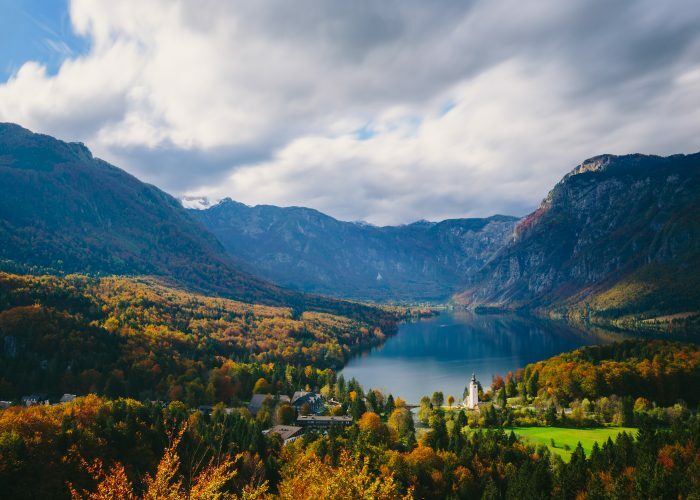 It may be Slovenia's only national park, but Triglav National Park preserves three percent of the country's land, including much of the Julian Alps, the park's namesake mountain, and the country's highest peak, Triglav. Several mountaineering routes lead adventurous climbers to the top. Elsewhere in Triglav National Park, deep gorges carved by the park's rivers contrast with the high peaks, while caves have formed in the limestone mountainsides. It's no surprise that hiking trails offer one of the best ways to appreciate the varied park features. There are 25 settlements within Triglav, and many of the inhabitants make their living from agriculture (try the local hard and soft cheeses made from cow's or sheep's milks). Just outside the park's eastern edge, picturesque Lake Bled is a good base for exploring the park's attractions like Vintgar Gorge. On the border with Belarus, Bialowieza National Park is a rare area of undisturbed nature. 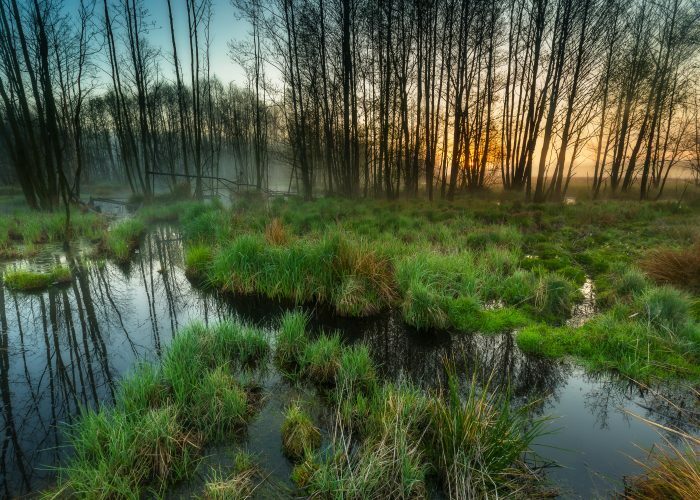 It's Poland's oldest national park, covering the central part of Bialowieza Forest, considered the last original bit of European lowland forest. Because of its extensive old-growth forest and the role it plays in conserving the area's biodiversity, Bialowieza National Park was named UNESCO World Heritage Site. It's also is also home to the largest population of European bison, with breeding reserves located within the park. The oldest (and most protected) sections of the park are only accessible with a guide, but there are areas for hiking and biking that do not require supervision. Admission Fees to the park are minimal. The appeal of Cevennes National Park (website in French) is varied. For some, the park is at its best in summer thanks to canoeing, kayaking, climbing, caving, and fishing. For others, it's winter with snowshoeing, tobogganing, and Nordic skiing. But whether you hang out in the woods, moors, and meadows or the valleys, mountains, and gorges, you'll likely see traces of human settlements past and present. People have inhabited the lands here since at least 400,000 B.C.E., and much remains: ancient megaliths from the Neolithic era, Roman ruins, medieval churches and monasteries, mills once famous for producing silk, and remnants of silver, coal, and iron mines, including water towers and railway tracks. Eight national hiking trails cross through Cevennes National Park, which has hundreds of miles of marked trails, including mountain bike and equestrian routes. Around 300 footpaths with the average length of about five miles make for easy day hikes, though the park is equally great for scenic drives. Forage for mushrooms and chestnuts, among other edibles, but make sure you're not picking them from private property. 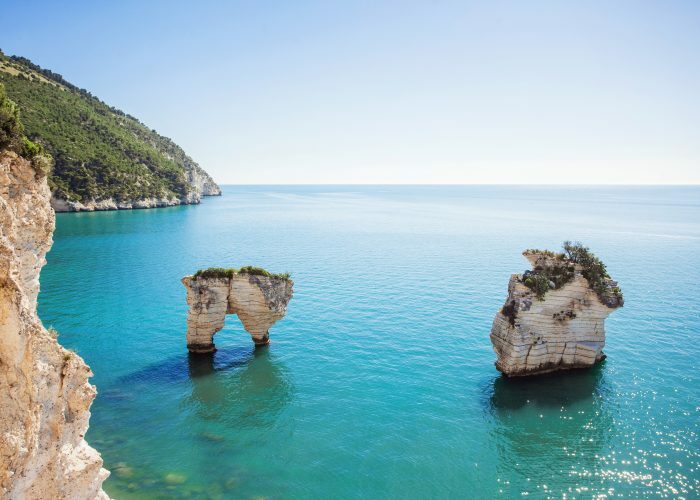 Forgo the most well-known national park in the country, Cinque Terre, and skip the also-packed Amalfi Coast for even more gorgeous cliff-side villages, hikes, and Mediterranean views in the less-traveled Gargano National Park. Located in Puglia in the "spur" of Italy's boot, the rocky coastline of white limestone cliffs abutting turquoise blue waters of the Adriatic is a major draw. But Gargano National Park also encompasses wetlands, valleys dotted with wild orchids, and woodlands in the Foresta Umbra. 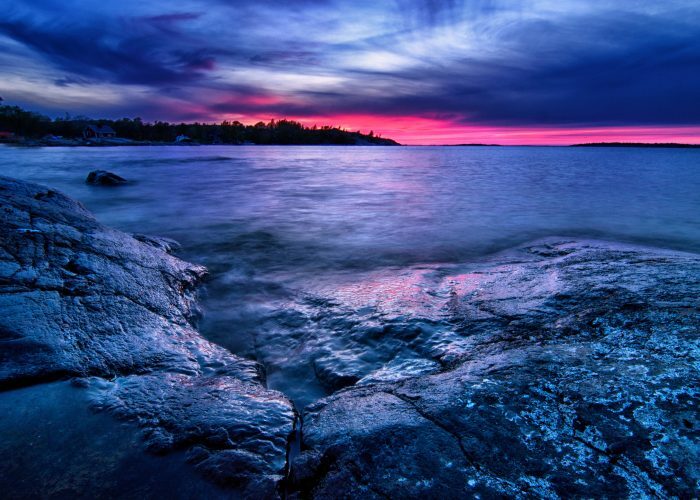 Sweden has a ton of national parks worth exploring, including Tyresta National Park (an easy day trip from Stockholm) and Fulufjallet, home to the country's tallest waterfall and one of world's oldest trees (more than 9,500 years old and counting). But Sarek is otherworldly. The inaccessibility of the park (you have to hike or ski in and will probably end up wading through water since there are few bridges) only adds to its allure. This is the real wild, with no marked trails. Reading a map and compass aren't just nice to know—they're essential. The park contains nearly 100 glaciers and almost half of Sweden's tallest peaks, including Barddetjahkka, the country's most easily ascended 2,000-meter summit with views of its largest glacier. Abutting the border with Spain, Portugal's only national park is notable for its castles, culture, and ponies—Peneda Geres is full of wild Garrano ponies that have been in the region since the first millennium B.C.E. Today, you can find domesticated ponies that will take you across the park's countryside. Granite cliffs, forests, and bogs keep the terrain interesting. Castles like Laboreiro and monasteries like Santa Maria dos Pitoes are popular spots within the park for those interested in history. Beyond castles, remnants from earlier eras like megalithic tombs and a Roman road that you can still cross via bike are evidence of the area's long history.